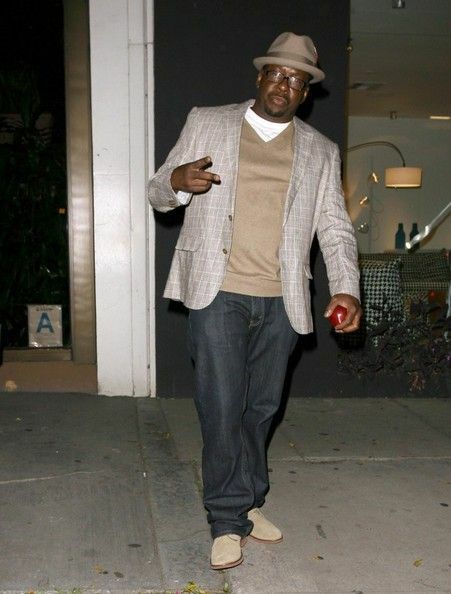 Bobby Brown, a founding member of New Edition, has dropped out of the group's nationwide tour citing medical reasons. Get the deets inside and see Flavor Flav on his way to court. A few days ago we posted a video of Bobby Brown missing a few steps during a performance of "If It Isn't Love" with his band New Edition. At the end of the clip, we see Bobby walked off stage mid-performance....and he won't be back! Today, Bobby revealed that he's "walking" off the the tour for medical reasons. Though he's never revealed his ailment, a rep told TMZ that he had "an intrusive medical procedure" and needs to be under the care of his doctor - making performing impossible. He released a statement to all fans (and ticket holders) saying, "I apologize to the fans of New Edition. I really wanted to be with my brothers, but presently I am unable to give the fans what they typically expect from New Edition." All jokes aside, we wish Bobby a speedy recovery and hope to see him onstage again soon. Former reality star and Public Enemy hypeman Flavor Flav appeared at a court hearing in Nassau, NY earlier today to address charges for speeding and driving with a suspended license. You may recall that we told you about the arrest a few weeks ago as Flav was enroute to his mother's funeral when he was pulled over. In court, Flav paid homage to deceased rapper Heavy D and wore his signature clock. After the hearing, Flav let his hair down (literally) as he exited the court with his lawyer. For the record, he pled "not guilty" and it will be up to a grand jury to decide if he should be indicted.